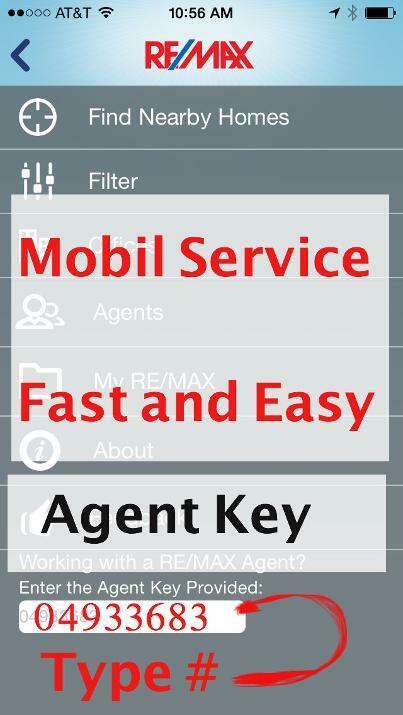 Steps For Setting Up Your Re/Max free App! I would love to help you when you have questions on anyhouse your near! Yes any house listed I can get you the information quickly. Would you like to see the inside of the house? Great Set your app up (2 easy step below) and send a note with your app you would like to schedule a showing ASAP (or dates and times your available) ! This will send me a note the house information and MLS #. 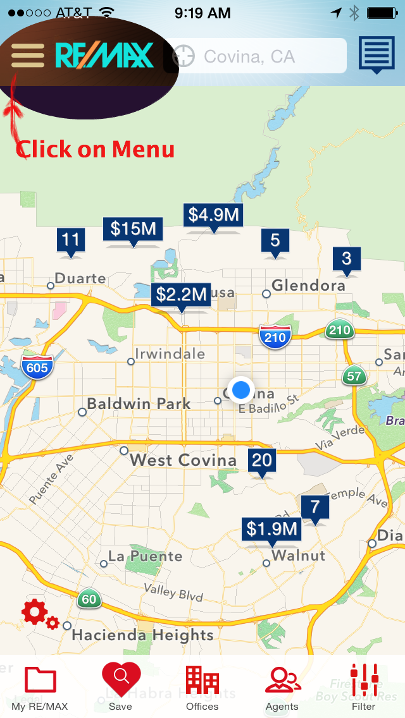 Download the app from Apple(iTunes) or Google (google play) by searching for REMAX. Open the app, select the menu and find field to enter your agent Key ( enter 04933683) at the bottom of the list. If you have problems please contact me.